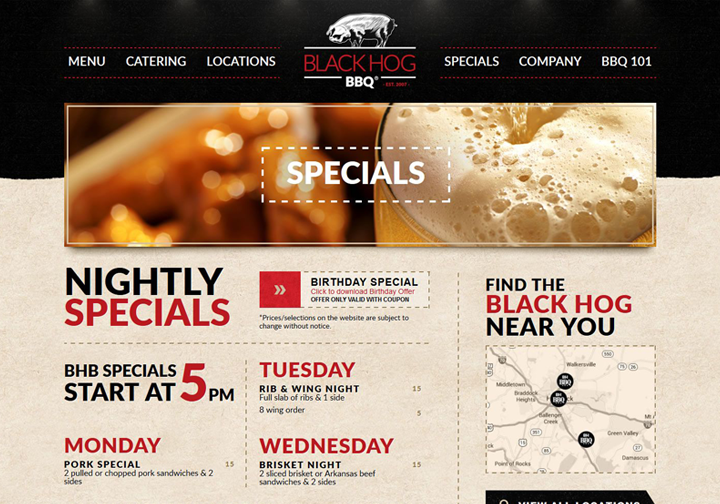 Black Hog BBQ - Wood Street, Inc. 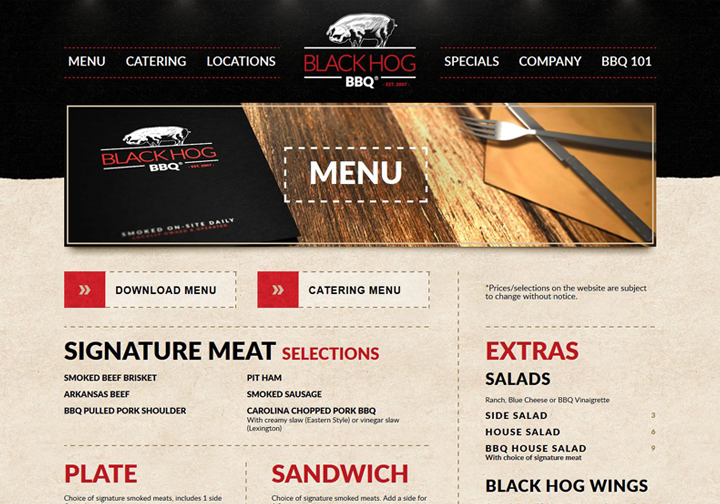 Working with restaurateur Mike Tauraso and his marketing team, Wood Street designed and developed a completely custom website for Black Hog BBQ. 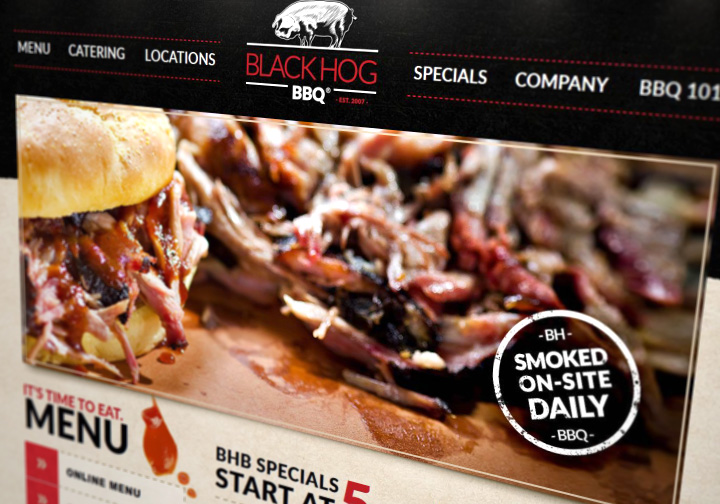 The look of the website is based on the completely redesigned branding, marketing materials, menus and signs crafted by Wood Street. 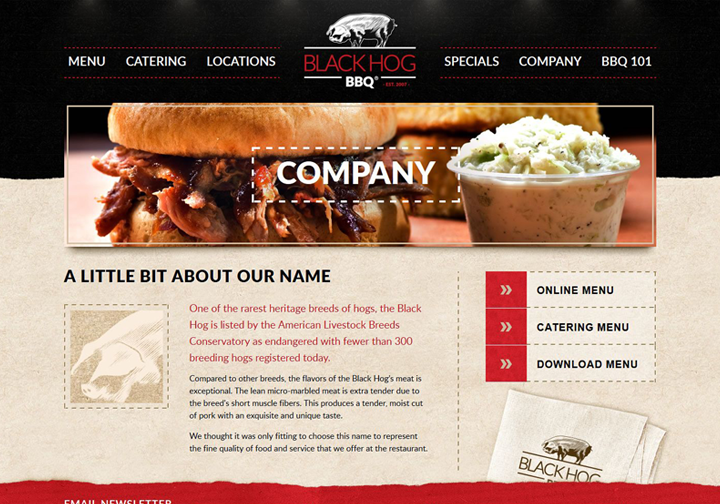 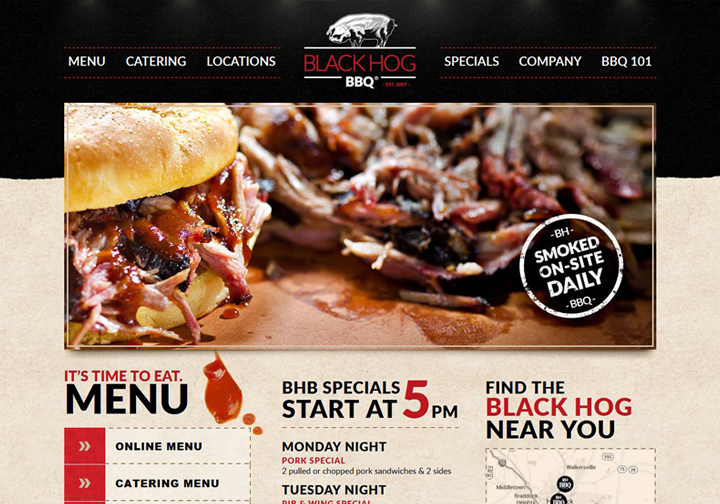 The look and function of the site is set to mirror the unique and delicious dining experience of each Black Hog BBQ location.